Manufactured from a tough high impact weather resistant plastic material. At 54mm wide and with a low profile (3mm) it allows heavy vehicles and pedestrians to run over the top without damage. 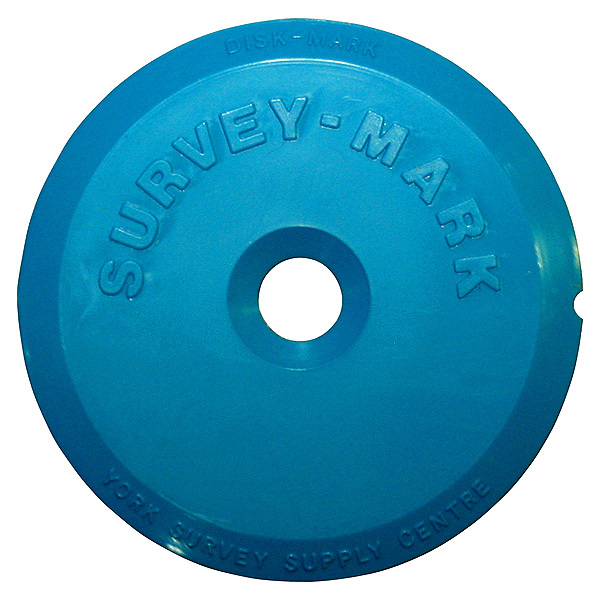 The Disk-Mark has a blank area allowing you to record data with the special Tough-Mark pen supplied. Uses: Survey work, bench marks, setting-out, road openings, resurfacing work, road & car park marking, footpaths, identifying buildings, services, re-instatement / repair areas, trees, walls, setting out pegs and exhibitions. The Disk-Mark is fixed to tarmac surfaces with the 50mm Mag Nail supplied. Alternatively Disk-Mark can be adhered to most surfaces with Araldite Rapid a fast setting epoxy resin adhesive. 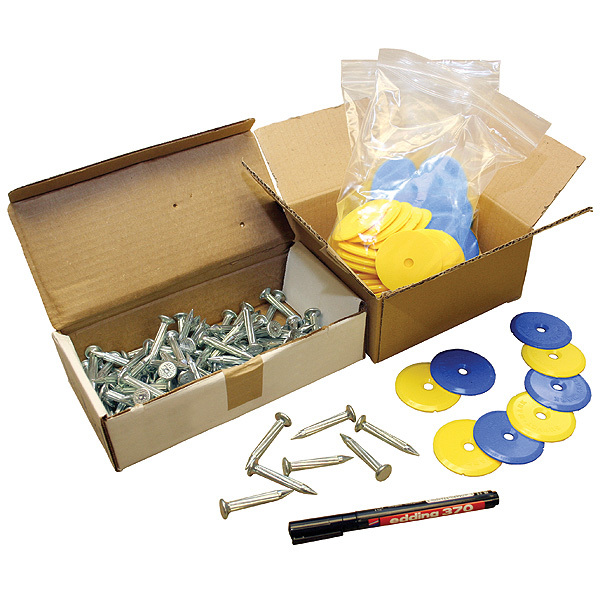 Supplied in boxes of 100 Disk-Marks c/w nails and marker.